Last week I shared my tasting notes for the new Jim Beam Double Oak, the latest line extension from Jim Beam. Like all bourbon, this new expression is first aged in a new, charred white oak barrel — in this case for four years. Then, that Kentucky straight bourbon is dumped and poured into a second new charred white oak barrel to age for an undisclosed additional amount of time. Using a second new barrel, rather than finishing the bourbon in a used barrel, means there is still lots of fresh oaky goodness for the bourbon to acquire, with none of the bitterness that can come with extra tannin. 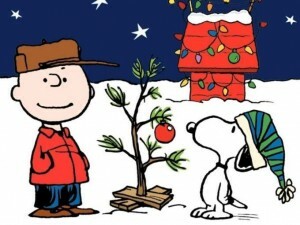 But it also means that Jim Beam is blowing through twice as many new white oak barrels for this expression. Bourbon barrels are already at a premium right now. And that means that even more oak trees are being cut. 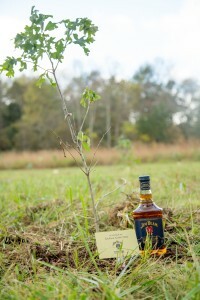 In an effort to be a good steward of the earth’s resources, Jim Beam recently worked with the Kentucky Division of Forestry to plant about 150 white oak saplings in a clearing in the Knobs State Forest, a 1,500-acre forest 28 miles south of Louisville that is adjacent to the Bernheim Arboretum and Research Forest and just down the road from Jim Beam’s Clermont plant.